Our theme this term is Heroes. The junior class has approached the theme as “Heroes Under the Night Sky”. They have been learning about astronauts and other heroes of space. The middle class is doing one historic hero a week. To date they have learnt about Rachel de Beer, a South African legend who saved her brother, Joan Baez who was an activist in the 60’s, Joan of Arc who fought a war for France at the age of 16 and Florence Nightingale who was instrumental in creating the modern techniques of nursing. In the Senior class we explore the Hero Theme with stories about ‘everyday heroes’. An everyday hero is a person who knows her strength and uses it with indiscriminate kindness for a cause precious to that person, be it saving animals, fighting for people’s rights, or beautifying the world around us. We told stories about Portia’s uncle, a Canadian fish farmer, an Indian seed safer and Roald Dahl. 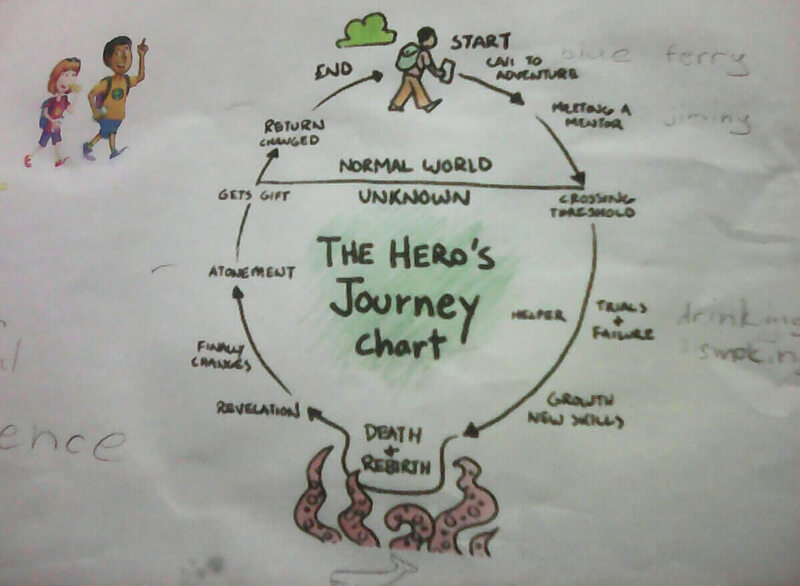 We explored the hero’s journey with Pinocchio and are trying to tell our own hero story.